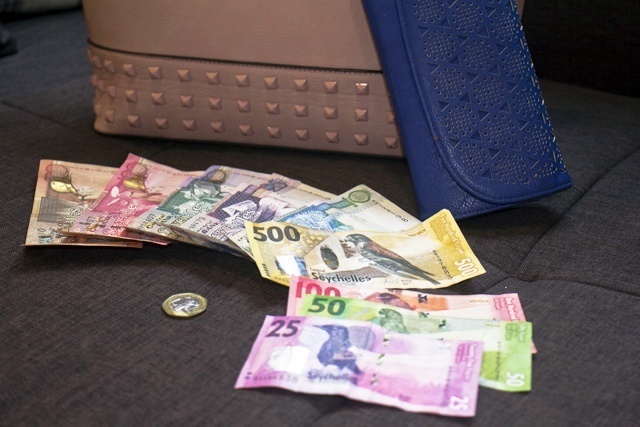 (Seychelles News Agency) - A proposed salary increase for public service workers could be carried out by dividing the total amount of the monies equally among eligible employees instead of giving each person a 5 percent raise on their salary, a Finance Ministry official said Friday. In his budget address last year, the Minister of Finance, Trade, Investment and Economic Planning, Maurice Loustau-Lalanne, announced an increase of five percent in the basic wages of public service workers in 2019. Over $3 million (SCR42 million) was allocated for the increase set to begin as of April 1st. The Public Service Salary Amendment Bill 2019 was presented to the National Assembly by Minister Jean-Paul Adam on March 19. Members of the opposition proposed that the allocated sum be equally divided among public service workers rather than a five percent increase across the salary bands. The principal secretary for Finance, Damien Thesee, told reporters that the suggestion of the opposition members can be applied but might come at a cost. “The National Assembly can divide the budget allocated equally. However, as we have a progressive tax system in place, there might be an impact on the collection of tax that we would have obtained from the higher threshold, which will now be greatly lowered. This might affect our performance,” said Thesee. He added that it is a common global practice for salary increases to be made at a percentage. Thesee said that efforts have been made to address concerns about low salaries. “These include the introduction of the progressive income tax that exempts the first SCR8555 ($628) from being taxed. Around 54 percent of the Seychellois workforce is benefitting. To further support the increase, we made an announcement to introduce the wage grid increase of 5 percent that would have come into force together with the long service allowance,” he added. Around 53 percent of public service workers would benefit from the long service allowance which represents 5,530 workers between band one and band five. Nearly 70 percent of them will get a $73 (SCR1000) or more increase through the long service allowance as they have been in the position for over 10 years. Thesee said that implementing the long service allowance together with the public service salary increase will benefit people on the lower end of the salary band. “We always point out that, yes there is a need to increase salary but it needs to be done in a responsible way. Should we constantly be increasing salary, this puts pressure on the private sector. By increasing the salary, people tend to spend more and it also helps to bring up inflation, and in the end, it all comes back to the workers,” said the principal secretary. The Bill is still waiting for the National Assembly’s approval after there was no vote on March 22. President Danny Faure on Tuesday sent a letter to the Speaker outlining the urgency of addressing the appropriate amendments to the Public Service Salary Amendment Bill 2019.